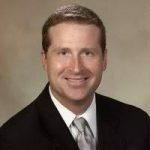 Jason Meredith of Mid-South CFO, LLC has worked closely with small to medium sized businesses for the past 25 years to integrate all Quickbooks related products into their organization. Work For Mid-South CFO, LLC? Claim This Page.